The Open Risk API provides a mechanism to integrate arbitrary collections of risk data and risk modelling resources in the context of assessing and managing financial risk. It is based on two key technologies of the modern Web, RESTful architectures and Semantic Data. 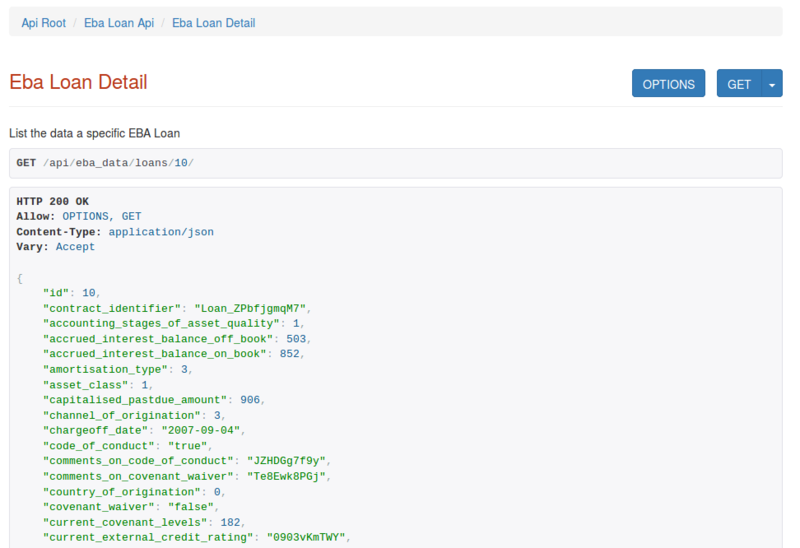 OpenCPM, the credit portfolio management platfrom we launched recently fully integrates the latest versions of the Open Risk API. A very exciting recent development has been the release by the European Banking Authority(*) of a detailed specification (schema) for the exchange of credit portfolio data. This scheme has already been incorporated in the backend databases utilized by OpenCPM and an Docker image is publicly available. 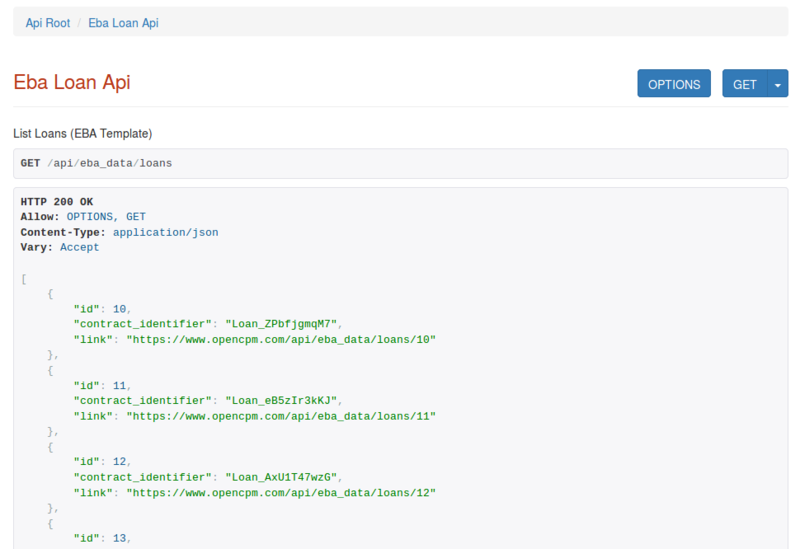 The API root is accessible at https://www.opencpm.com/api/. (An account is required to access the endpoint with a web browser or from a terminal via a token). 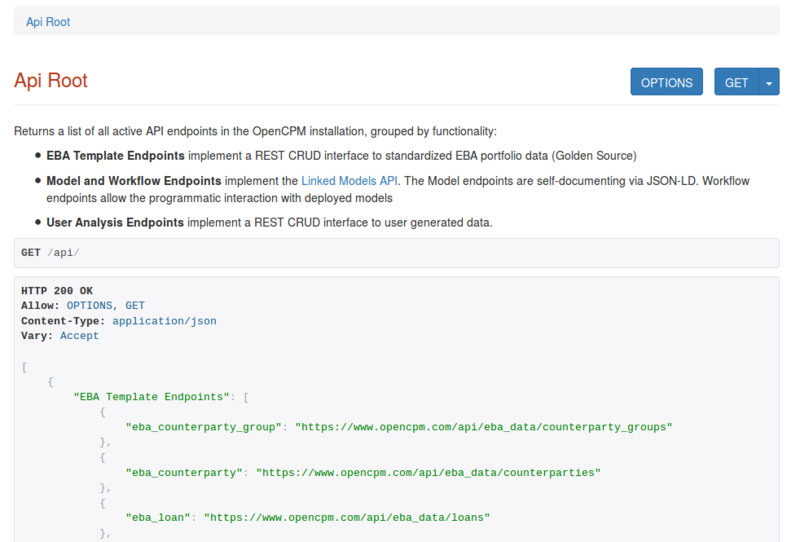 Endpoints are grouped according to functionality, with all EBA data endpoints grouped under the eba_data endpoint. 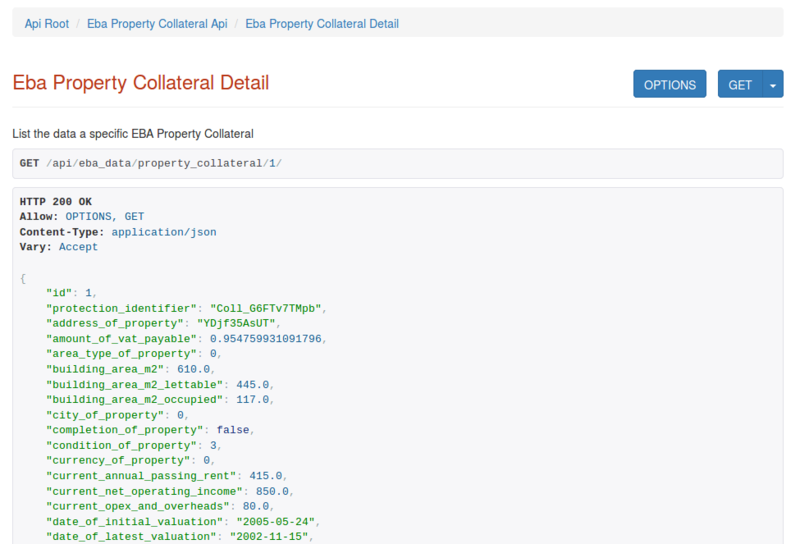 core data categories (Counteparty, Loan, Property Collateral). These categories apply to both performing and non-performing exposures and form the backbone of any credit portfolio management database. 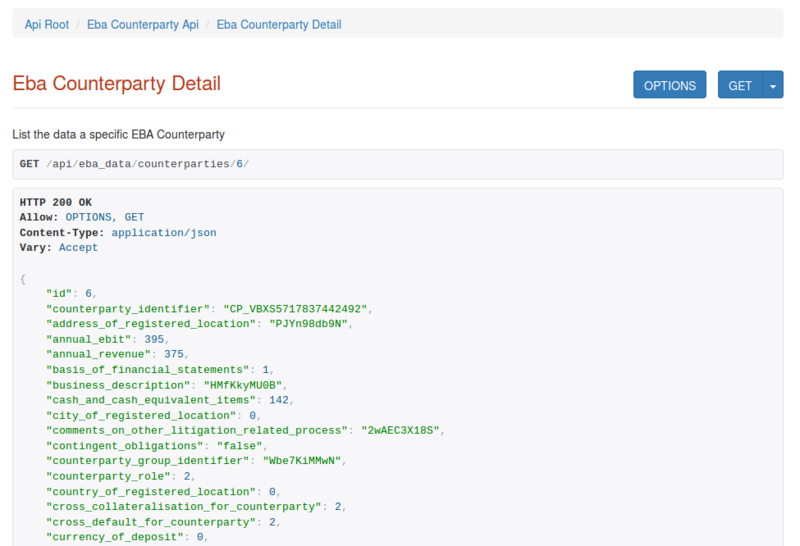 Starting with the counterparty endpoint, we get a list of all stored counterparties. 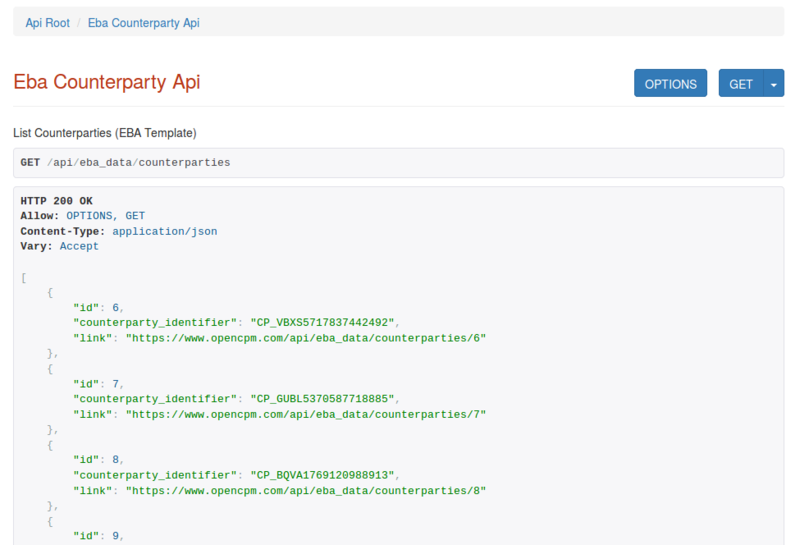 The data returned (in JSON format) provide identification and links to individual counterparty data (Obviously all data display here are ficticious). When Loans or other credit products are covered by collateral (e.g. mortgages or other non-property collateral) it is essential for proper credit analysis to include such information. 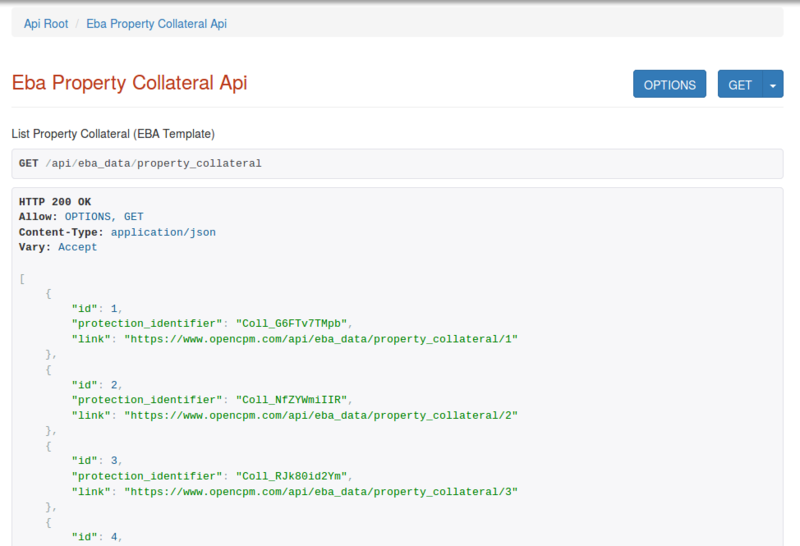 There are several relevant endpoints with the Property Collateral data being a common and representative use case.